Start Date - ASAP Location - Plymouth Duration - 6 month+ Assystem is looking for Coordination of Building Information Modelling (BIM) deliverables in support of Nuclear and Non-Nuclear Safety related facilities for Strategic Infrastructure projects. You will be preparing and reviewing the federated BIM model. The BIM Co-Ordinator must also be able to provide cover in the absence of the BIM Manager. Approving, managing and supervising the process for developing all graphical, non-graphical and document information relating to infrastructure and equipment for both Nuclear Safety Related and Non- Nuclear facilities. Tasks and responsibilities Coordinate the delivery of BIM tasks. Prepare templates for BIM models and drawing sheets. Monitor the project teams adherence to the BIM Execution Plan and provide guidance if necessary. Prepare the federated model. Execute clash detection and report appropriately. Manage and maintain the BIM model library. Communicate the BIM plan to the Task Teams. Accept reject information exchanges within the common data environment. Develop Levels of Definition (LOD) strategy. Prepare the volume strategy. Enable integration and co-ordination of information within the Information Model Security clearance Whilst we encourage applications from all nationalities, Assystem within the UK are subject to security and export control restrictions due to the nature of work to be undertaken. These restrictions mean that factors including your nationality, any previous nationalities you have held, and/or your place of birth may limit those roles that you can perform for the organisation. Experience: The post holder must be able to demonstrate relevant knowledge and skills required in the process of BIM throughout the design lifecycle. BS1192 BIM files naming conventions, status codes and revisions. Using a Common Data Environment (CDE) to follow the PAS1192-2 method of collaboration. Use of Autodesk Revit software to create BIM projects. Use of Autodesk Navisworks software to prepare and review federated models. Undertake clash detection. Design of civil engineering, structural engineering and architecture Qualified to HNC in a relevant Engineering discipline and must have completed YINC or NFC or NIC or equivalent. Or hold a current waiver. 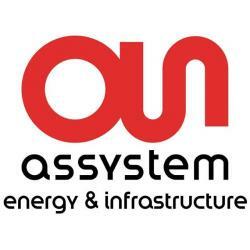 Location - Plymouth Duration - 6 months+ Assystem is looking for a Manager of Building Information Modelling (BIM) deliverables in support of Nuclear and Non-Nuclear Safety related facilities for Strategic Infrastructure projects. The role of the BIM Manager requires a flexible approach as working practices change to meet the evolving demands of the digital construction revolution. At this stage of BIM development, the role is to drive forward change management around digital ways of working and getting the most out of the data, technology, people, process and policies in order to deliver the outputs needed for collaborative construction. The candidate will be responsible for setting out the company strategy for continuous BIM advancement in order to provide design & construction innovation and collaboration. Please note a full job description is available on request Security clearance Whilst we encourage applications from all nationalities, Assystem within the UK are subject to security and export control restrictions due to the nature of work to be undertaken. These restrictions mean that factors including your nationality, any previous nationalities you have held, and/or your place of birth may limit those roles that you can perform for the organisation. The successful BIM Manager will be a detail-orientated and conscientious professional, with a strong track record of leadership and project management. The candidate will have a proven UK track record, with evidence of delivering on large projects in the Structural Engineering industry as well as being a proficient technical draughtsman and fully conversant in BIM (BS1192). Qualifications and Experience Requirements The post holder must be qualified to degree level or higher in a relevant discipline below, hold Engineering Council UK registration as a Chartered Engineer and be a Member of an accredited Institute. Civil / Structural Engineering. Nuclear: The post holder must have completed YINC or NFC or NIC or equivalent. Must demonstrate a level of competence that is equivalent to a Chartered Engineer level in engineering theory and provide examples of project and design deliverables. Preferably Nuclear & Dockyard related. Have a good understanding of all relevant Industry Standards and Codes of Practice: All relevant statutory regulations All relevant Building, Civil Engineering and Road Transport Regulations Any and All local Planning and Building Regulations Be fully proficient in Revit, AutoCAD and Navisworks. Producing 3D drawings for civil & structural schemes Experience of detailing Structural Steel, Concrete, Masonry and Timber. Experience of coordinating a team of CAD Technicians. History of delivering on mid-large BIM projects.